Travis Ranch 1500+ acres located in Forney, Texas, is a master-planned community on the shores of Lake Ray Hubbard. The community already has over 950 families with plans for an additional 2000 home sites.1,567 to 3,201 Sq. Ft.3 to 5 Beds2 to 3 Baths0 to 1 Half Bath1 to 2 Story Homes2 to 3 Car Garage Travis Ranch is a community featuring multiple parks with pavilions, playground areas and grills. The highlight is an especially large park with a covered pavilion, complete with seating and BBQ grills, pool, splash pad, hockey rink, large playground and a versatile open field. The community also has a picturesque park and greenbelts. Travis Ranch has on-site schools within the Forney School District, with a Rockwall School District school immediately adjacent to the community. In addition, there is close to 1000 acres dedicated for commercial, mixed used and retail development. Travis Ranch planned phases will offer some additional affordable homes and unmatched amenities. All community features are set against one of the most scenic backdrops in the Metroplex — a breathtaking terrain of rolling hills with a spectacular view of Lake Ray Hubbard and, in the distance, the skyline of downtown Dallas. Take on Home Ownership with Confidence with our Special Financing OptionHome ownership is a big step, but Taylor Morrison is here to help you ease into the monthly payments with our special Rate Roll Back, 2/1 Temporary Buydown offer. 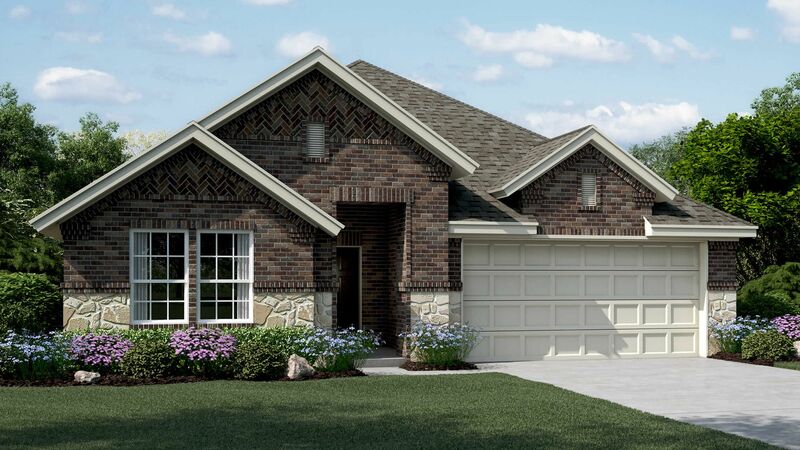 This financing option means you’ll enjoy reduced monthly mortgage payments for two years and savings of hundreds of dollars a month Travis Ranch in Forney that you can use for the things you need and want. It’s how we help you enter homeownership comfortably and confidently at Travis Ranch in Forney! Learn More.